As NSR indicated in an October 2013 article, shutter-control regulations were softened for the benefit of DigitalGlobe in June 2014. The latter was seeing its commercial revenues increasingly threatened by competitors, launching satellites with increasingly lower resolutions thus transforming DigitalGlobe niche into a low-profit market. This move from U.S. regulation authorities creates a new segment solely addressable by DigitalGlobe thanks to its unique differentiation aspect (spatial resolution), which will mechanically allow for higher profit margins. At the same time, Google’s acquisition of SkyBox Imaging emphasizes another differentiation aspect: high-frequency revisit. The Skybox constellation has only one differentiation aspect: re-image the same area very quickly, a unique capability that Google will be able to monetize. Beyond selling imagery (with good margins), Google will combine it with other data and propose a unique set of Information Products. Google’s success is based on data; it has a unique know-how as well as tremendous tools to manage data and extract information. Skybox constellation’s unique capabilities will be well leveraged by Google. Both differentiation aspects will create new end-markets and new applications for EO-based Information Products. Most Defense & Intelligence organizations, as well as some large Public Authorities, already have access to imagery with resolution below 50cm. SkyBox’s imagery is, however, truly unique and may end-up being of use to both types of organizations. However, revenues from Defense and Intelligence and Public Authorities verticals will not grow at a fast pace, as both tend to internalize their processing and Information Products, limiting revenues generated by an uptake of imagery procurement. Commercial verticals, and especially Energy & Natural Resources (Oil & Gas, Mining), Services and Industrial should fully benefit from lower resolution and higher frequency revisit. As most of their Processing and Information Products is procured in the market, this uptake will boost revenues down the value-chain. As a result, commercial verticals will represent an increasing share of revenues. Shutter-control regulations have become less burdensome as UAVs are not impacted and continue to offer better resolution. However, regulations are now mainly a tool for authorities to support their local contender. As such, the softening of the shutter-control regulations (and not their disappearance) to a level tailored for DigitalGlobe operational capabilities can be seen as a step to repeat the same strategy in a few years. Keeping the shutter-control at 25cm forbids other players from proposing an even higher resolution, that DigitalGlobe does not currently propose, making it less interesting to invest into a 25cm resolution imaging capability (direct competition with DigitalGlobe, no niche) thus slowing down the inevitable catch-up from competitors. When they do catch-up, one could expect that DigitalGlobe will have an operational capacity with a lower resolution (to provide imagery to the U.S. government), and it will likely be the only one with such a capacity. This strategy is possible thanks to the attitude of most regulation authorities. Adapting instead of taking initiative, they turn their national champions into followers focused on catching-up, and not on innovating to differentiate. Differentiation is now more than ever necessary for commercial companies if they want to generate large profits. DigitalGlobe and SkyBox chose different strategies, but they illustrate the same trend: after years spent catching-up, EO Optical satellite operators now propose increasingly similar products. The time has come for a new phase of innovation: the differentiation engine must now be at full steam. 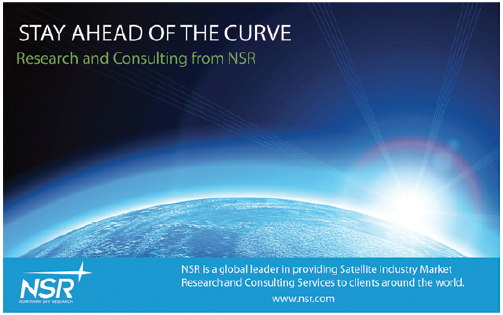 Mr. Gounari is NSR’s subject matter expert on Satellite-based Earth Observation, Satellite Manufacturing and Launch Services markets. 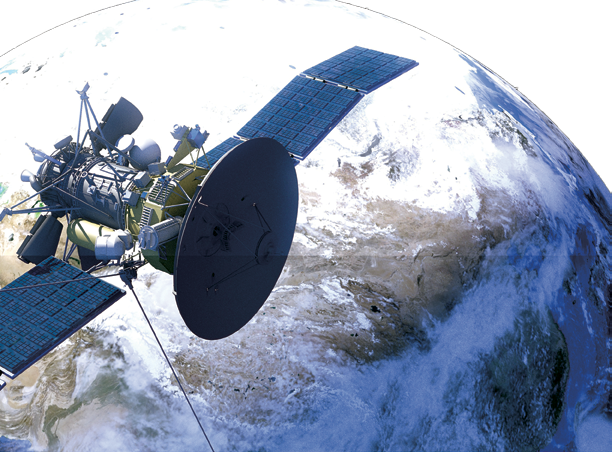 In addition to authoring reports in his areas of focus, Mr. Gounari is involved in a wide range of strategic consulting projects, several related to communications satellite markets. Prior to joining NSR in 2010, Mr. Gounari acquired experience in business development through his experience at Ad Astra Rocket Company (Space Propulsion start-up). While at Ad Astra Rocket Company, he focused on identifying and assessing potential new markets for the VASIMR engine.